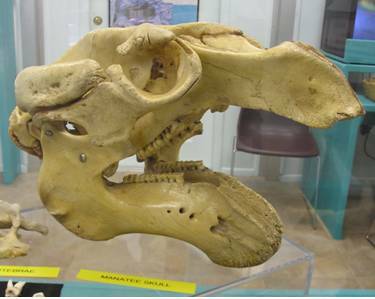 The Fossil Manatee is a Marine Mammal that is part of the Sirenia Order. 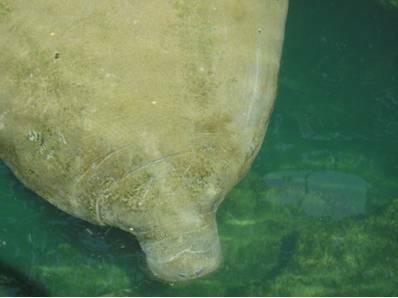 This Order contains four living species today…three Manatees and one Dugong. They are all nearly extinct and one of them lives in Florida. 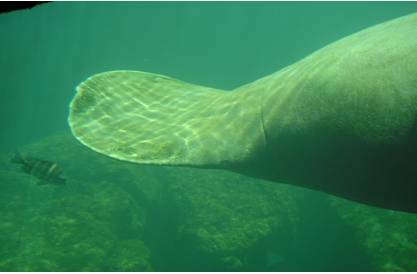 Of the 1200 Manatees living in the United States today, nearly all of them live in Florida. 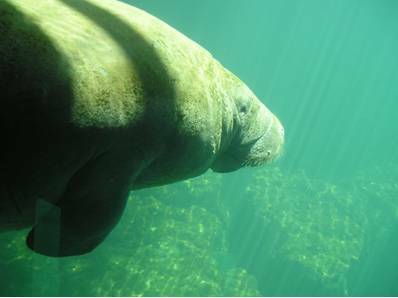 Sometimes called a Sea Cow, they evolved from a four-legged plant-eating land mammal about 60 Million Years ago and are closely related to Elephants. Like Elephants, their teeth move laterally in their mouth as they wear out and eventually are spit out. The vegetation in their diet is very gritty and wears down the leading molars. They have 24-32 grinding molars in the back of their mouth. 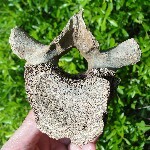 Like Mastodons and Mammoths, Fossil Manatees “spit teeth” are often found fossilized in many parts of the state. They were herbivores and could consume 60-100 lbs. of vegetation daily. Similar to Elephants, fossil Manatee were known to have lived up to 60 years of age. They could hold their breath up to 20 minutes if needed and spent half of their day sleeping in the water. 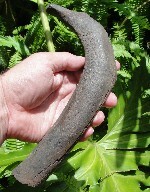 Its huge tail is used for forward locomotion. They have no hind limbs, but use their two front flippers to stabilize themselves in the water and aid in feeding. Each of their flippers has 3 or 4 toenails on them and can be used to scratch themselves. The flippers have evolved for an aquatic environment, but have the same amount of bones found in a human arm and hand. 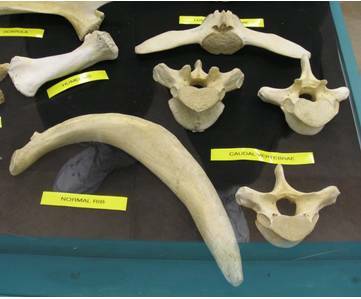 Fossil ancestors of the Manatee, the Dugong have been found in Florida as far back as 45-50 Million Years ago. The fossil record tells us that there were many more species at one time and they were wider spread than today. The Manatees themselves evolved about 15 Million Years ago. 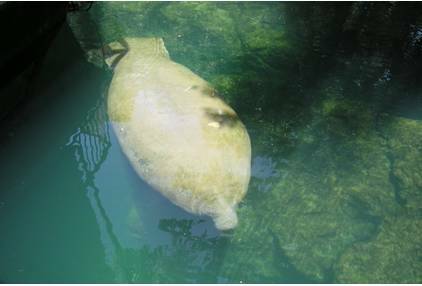 The modern Manatee, Trichechus, has been in Florida the last 3 Million years, from the Pliocene to Recent.